SalVinCo.com>12 volt LED Lights>12 volt LED Ceiling Lights - Recess Mount>12 volt LED Lights - Fixed>Nova 12 volt LED Lights > FriLight 8777 Nova LED Recess Ceiling Light, 12 volt - 24 Volt (10-30v dc), with optional Toggle Switch, Multiple LED choices - see Bulb detail. FriLight 8777 Nova LED Recess Ceiling Light, 12 volt - 24 Volt (10-30v dc), with optional Toggle Switch, Multiple LED choices - see Bulb detail. 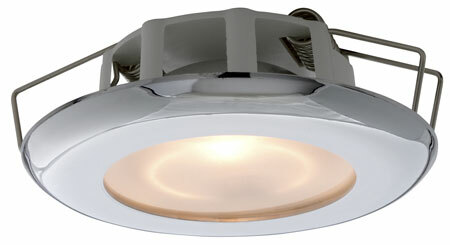 The FriLight 8777 Nova is one of the most versatile 12 volt light fixtures. 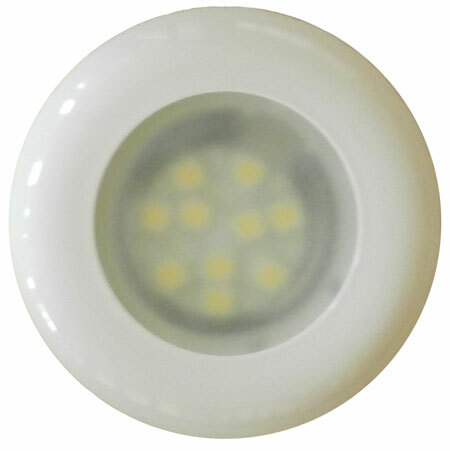 The LED version has well over 200 possible configurations and are detailed on the current page. 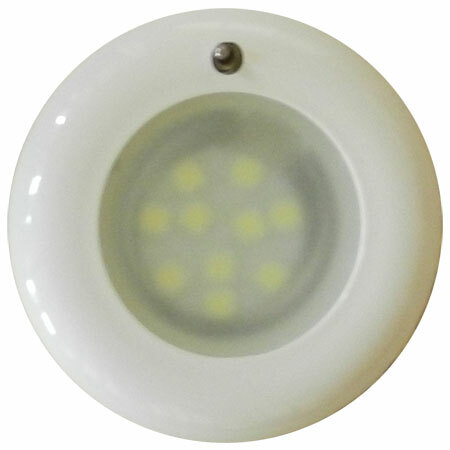 Includes energy efficient Bee Green LED Bulb with fuse and transient suppressor to protect current overload and voltage spikes. Our new standard warm white LED bulb for this fixture is now over 20% brighter than our previous LED Bulb - the Lg4s12 LED Bulb is equivalent to a 25 watt incandescent bulb or 12 watt halogen bulb (true of both the warm and cool white LED). 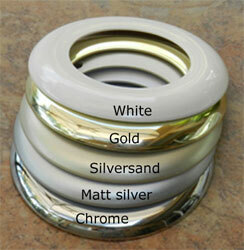 Optional LED bulb colors: Warm White, Cool White, Red, Blue, and Bi-color. Switchable Bi-Color bulbs in Blue/Warm White or Red/Warm White - click here for details on switchable bulbs (bi-color bulbs with a part number ending in 6ww or 10ww will fit this fixture).